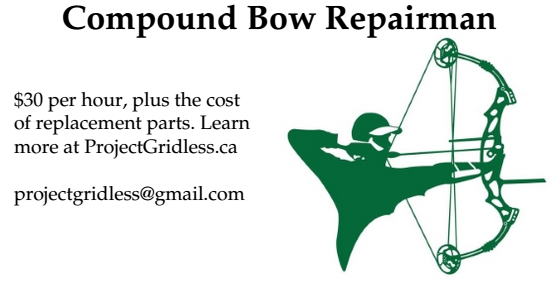 Looking for Toronto-area survivalists and off gridders to interview for my YouTube channel Project Gridless. Please email cardiotrek@gmail.com to take part. So if you are skilled / knowledgeable in one of these areas, I would like to interview you as part of our series of videos. In the meantime I am contacting friends and colleagues with such interests to get their help to make these videos happen. Time to share the knowledge. Know a friend who might be able to help out making these videos? Ask them if they are interested and get them to contact cardiotrek@gmail.com.